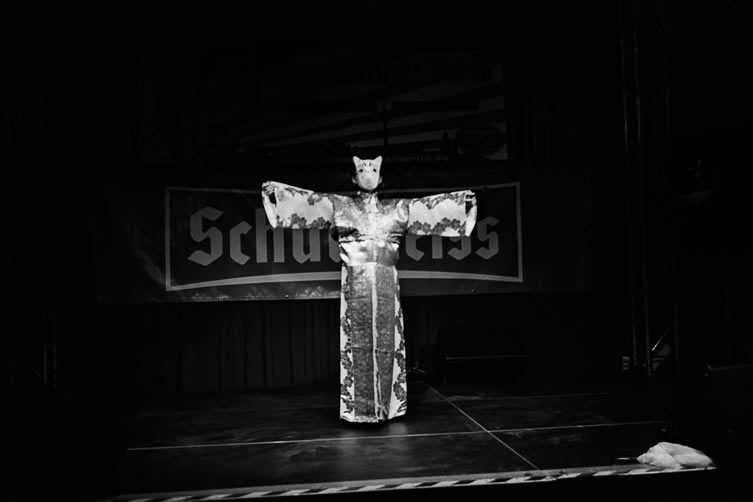 They say the secret to a good party is knowing when it’s over, but photographer Christian Reister paints a picture of Berlin that “seems to have succumbed to a state of everlasting party”. Has the German city taken too much, and stayed out too long? 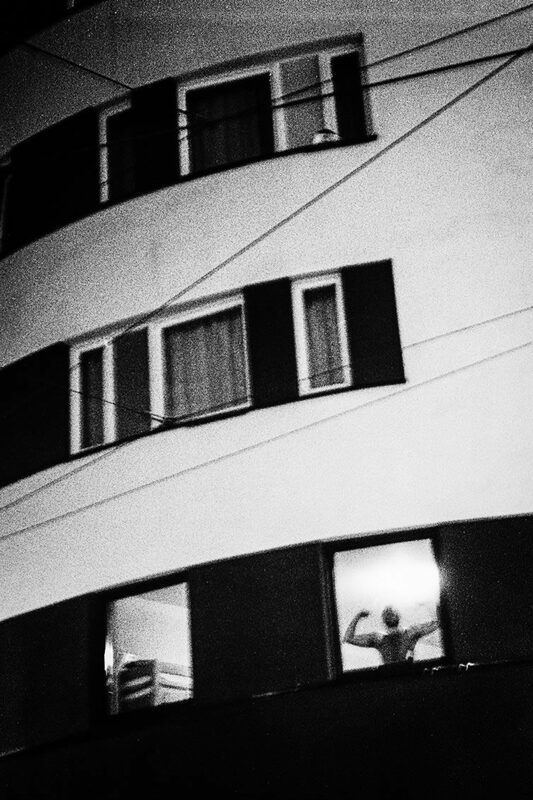 His visual tour of Berlin by night, Alle Katzen Grau (All the Cats are Grey), is littered with casualties of Berlin’s hedonistic scene, apparent victims of excess in all its forms. 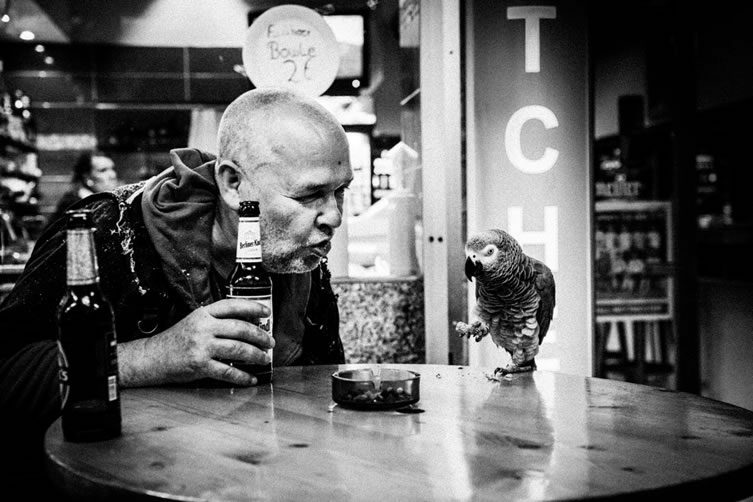 We stumble across overcooked party people slumped in doorways, propped up semi-conscious on bar tables, or strewn across the pavement in howling, ridiculous hilarity. 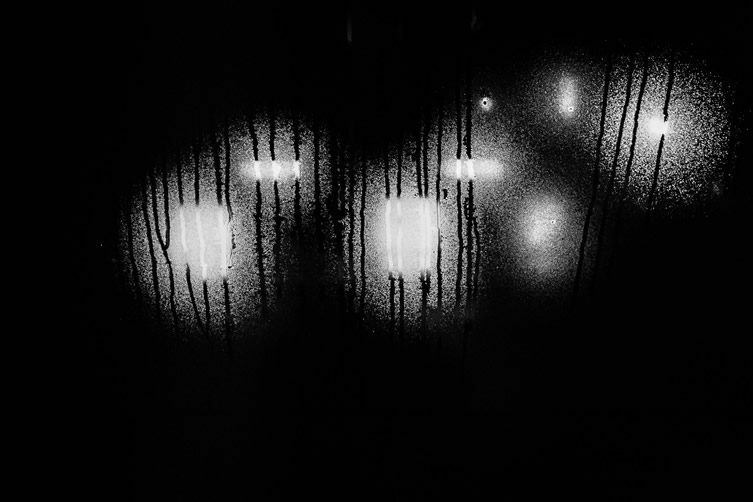 Forlorn figures wander the streets trying to find their friends, or perhaps just trying to find someone. 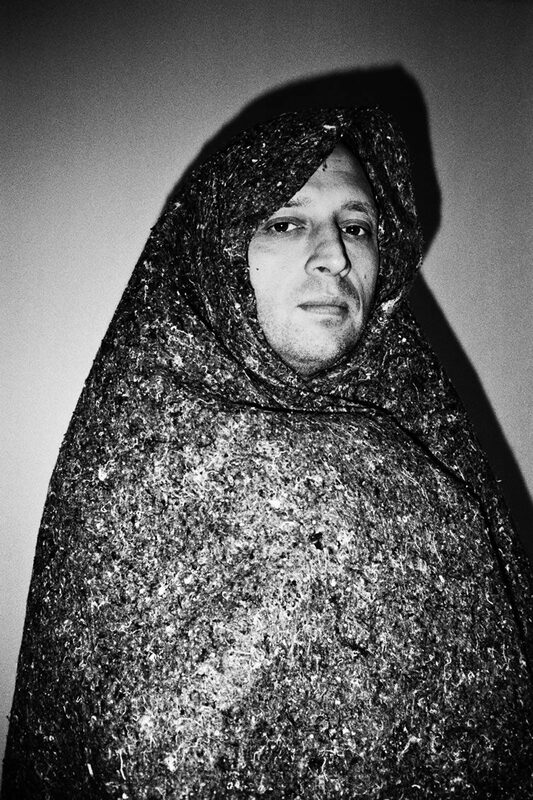 Reister’s photobook savours the highs as well as the lows. 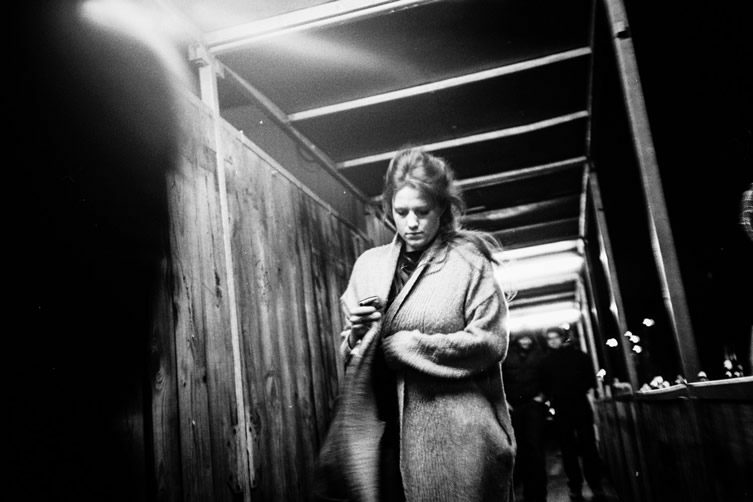 A documentarian with a voyeuristic bent, he is in the wrong place at the right time with uncanny regularity to capture the nights’ explicit happenings in moody, blurry black and white that suggests he shoots from the hip, often unobserved. 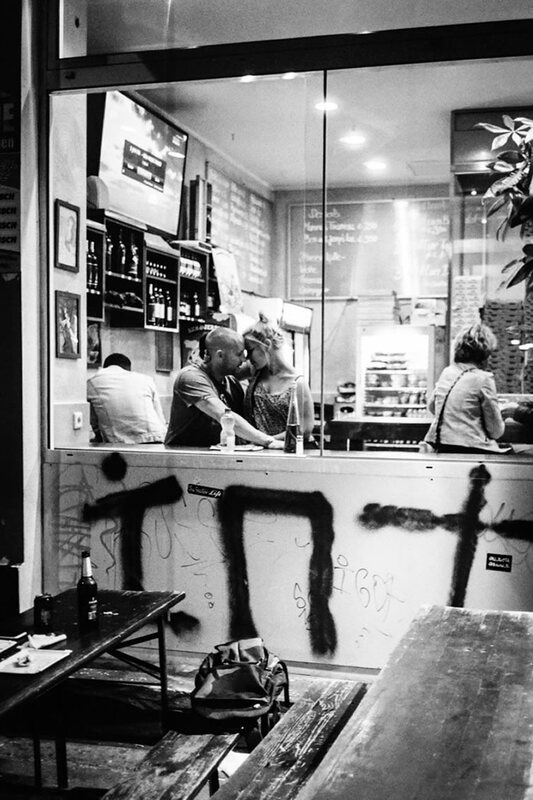 Salacious glimpses of private moments through unguarded windows vie for attention with overstimulated acts of public exhibitionism. 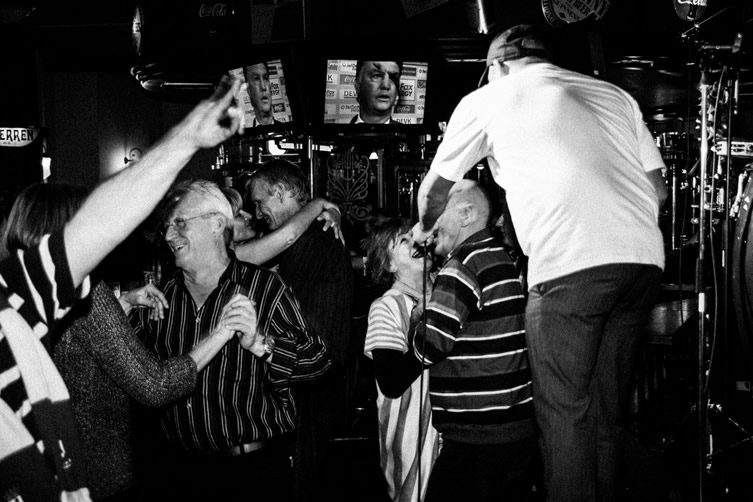 Revellers reel across the dance floor — or maybe it’s the photographer himself who is whirling through the night. 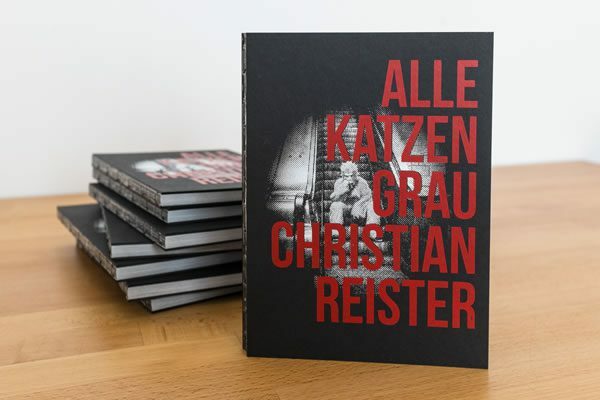 A dizzying tour of Berlin’s wild side, Alle Katzen Grau by Christian Reister is available directly from the artist.